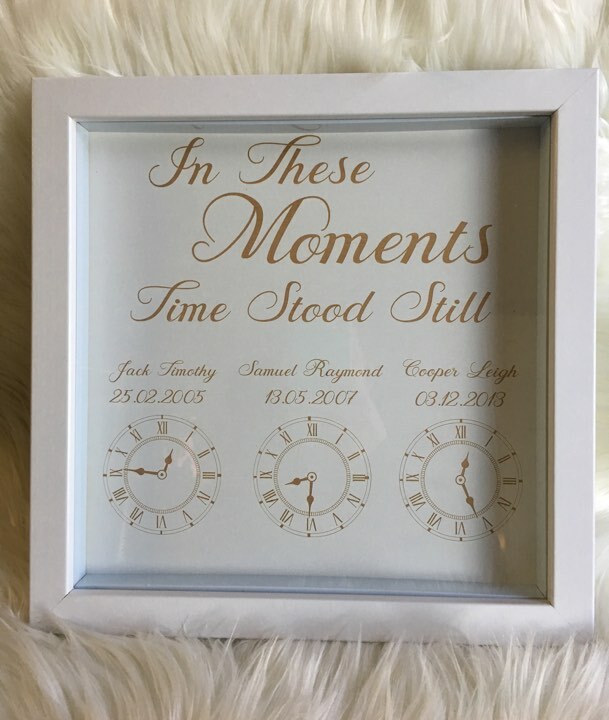 Looking for a unique gift for your child’s grandparents. 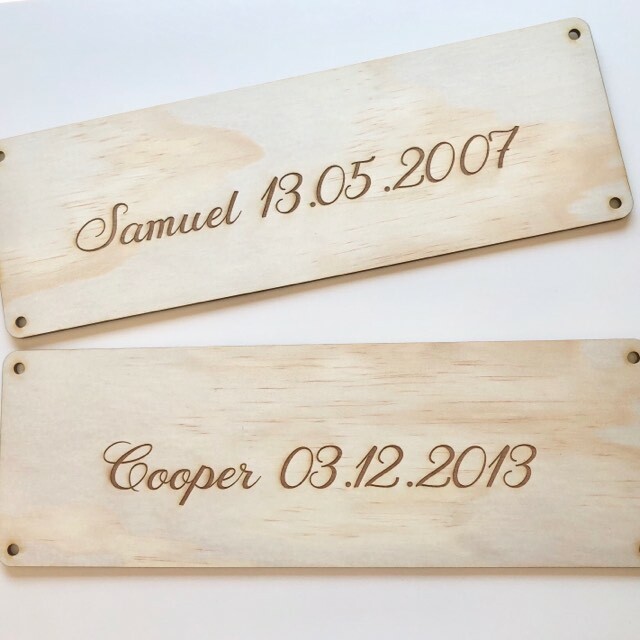 Then this might be the perfect gift for you. 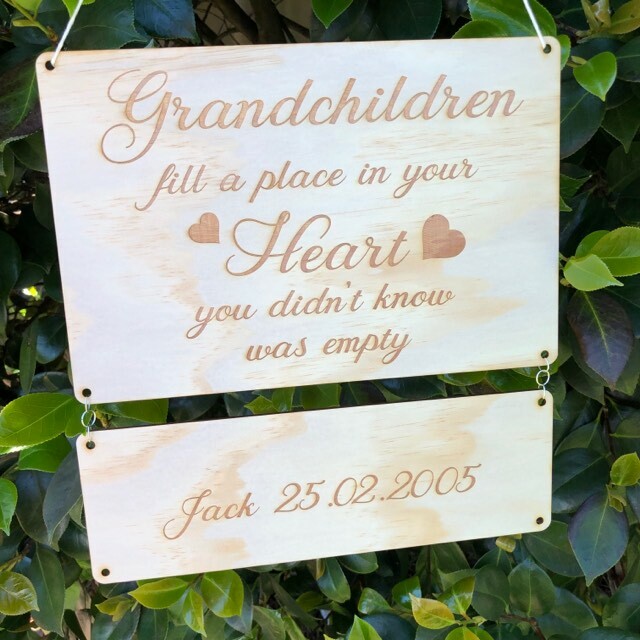 A hanging plaque that features the following quote beautifully engraved on natural plywood ‘Grandchildren fill a place in your Heart you didn’t know was empty. 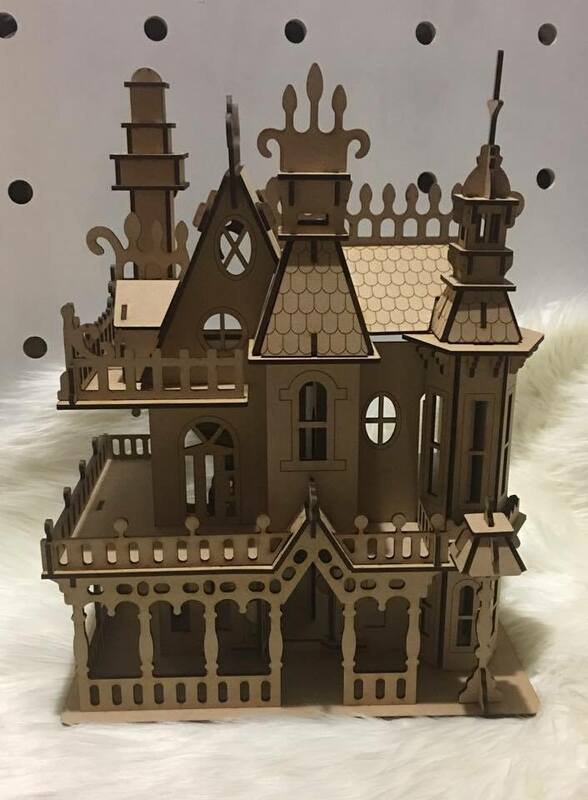 This item comes flat packed with all pieces ready to put together. 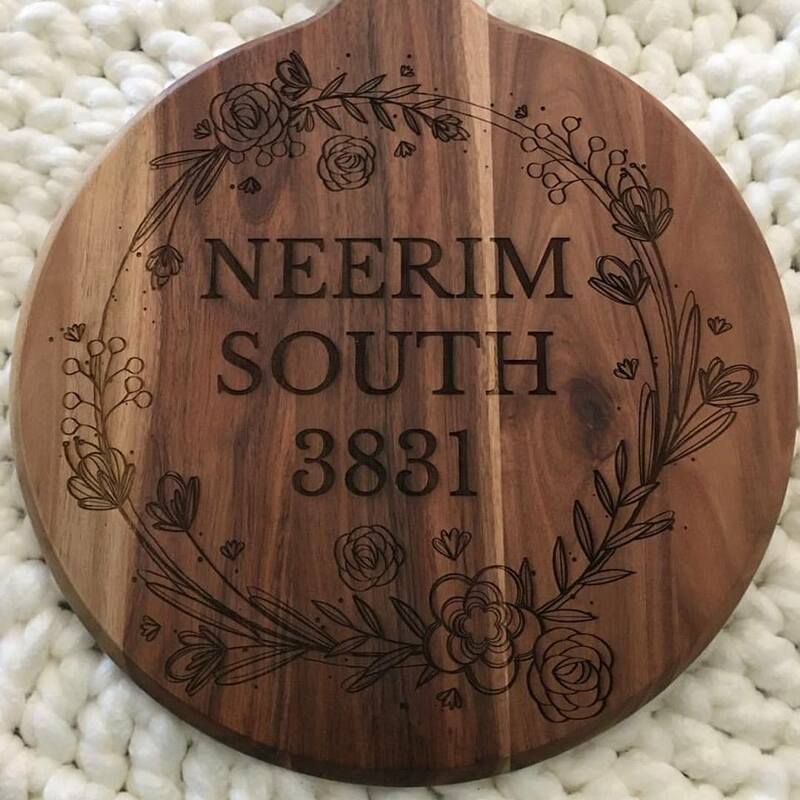 Includes Jump rings with each name ordered.